Sberbank’s carbon head Vsevolod Gavrilov said that a forestry-based submission is very welcome, and the list of project sectors will be expanded should such a need arise. He mentioned that is has been emphasized by Sberbank throughout the preliminary consultations that a project may be approved if there is a buyer for the quotas produced therein. At the moment the project’s developers are negotiating this issue with the World Bank. 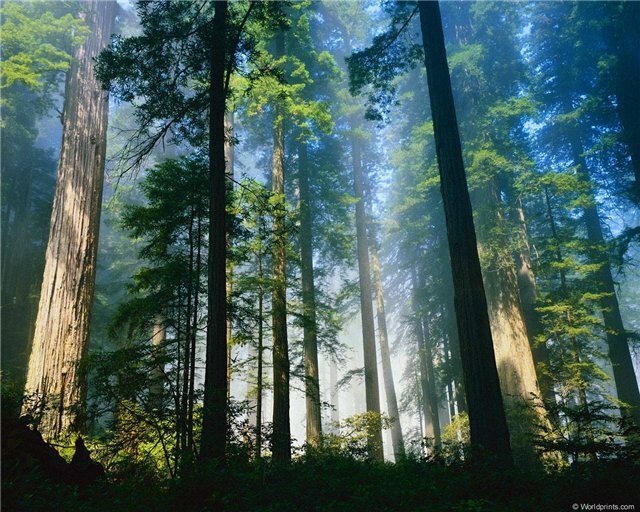 The absorption of carbon dioxide by forests plays a significant role in the global carbon balance. Boreal forests of Eurasia and North America alone absorb around 1.6 bln tons of CO2 annually. This is 25 times more than all carbon emissions by Denmark, 3 times more than that of France and 1.2 times more than that of Japan. Just to remind, the Kyoto Protocol implies the creation of conditions for the attraction of carbon investment to forestry projects. Thus, joint implementation projects give the opportunity to get emission reduction units from projects of forest growing on previously non-forested territories. Russia’s forestry projects’ potential is estimated at 3 to 5 mln tons of CO2 per year. Bearing in mind the long-term effect of increased absorption with the ageing of the forest, this number may reach 7 to 10 mln tons of CO2 per year. Forestry projects have several big advantages for Russia, apart from the obvious environmental aspect alone, among them: the long-term nature of carbon absorption by forests, the compensation of carbon emissions for at least 40 or 50 years, and last but not least, the low cost of afforestation in Russia, especially considering the benefits of long-lasting offset of carbon sinks. 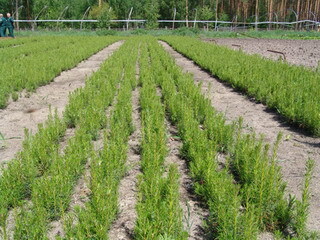 The project of creation of carbon-capturing forests in Zalesovsky region, Altai Territory, is very up-to-date despite of its relative small scale. It is on this type of projects that we may test-drive the future financial mechanism of planting forest in order to avert climate change and to help create the financial mechanism for such measures to me implemented in other regions. As a rule, the territories used for such projects are abandoned and degraded agricultural land, where erosion developed to the extent that the land cannot be of any further use without being afforested. In Altai Territory alone potential projects may deliver up to 3.2 mln tons of CO2 by 2020 when planting on windbreaks (protective forest strips) and up to 3 mln of CO2 by 2020 when planting on degrading arable land. The list of territories suitable for planting climate forests in Russia is long. In Western Siberia this may be Tyumen, Omsk, Novosibirsk, Tomsk, Kemerovo regions and Altai Territory, The Republic of Altai. In the European part it is Tver, Tula, Lipetsk, Voronezh, Belgorod, Volgograd, Rostov and Krasnodar regions and the Republic of Kalmykia. The first pilot forestry and climate project in Russia was developed by The Center for Environmental Innovation together with the Administration of the Altai Territory and the Altai forestry management institution already in 2008. At the moment carbon-capturing projects are being implemented in Irkutsk region, on Kamchatka and Sakhalin. According to Georgy Safonov, the Center’s Director and one of the initiators of the forestry and climate project, Amur, Voronezh and Samara regions have expressed their interest in such projects. However, for the successful implementation of a project the algorithm of project works should be developed and tested and extra funding received to bring this about. Sberbank’s competition may be such an opportunity. If the bidding’s operator manages to create favorable conditions for equal participation of small-scale projects and buyers for forest-derived ERUs are found, then very soon Russia will easily get many a ton of affordable CO2-equivalent.